If you have read my blog before you already know how much I love Science of Sleep. I wanted to show you my Golden the Pony Boy. I purchased him from lullabylily on Etsy and changed his name from Dapply Gray Pony as soon as he arrived. Isn’t he sweet?! 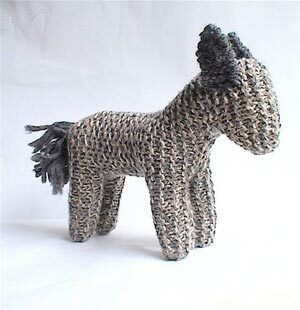 So is his creator and she makes the sweetest knitted creatures! I had been watching her shop and then saw a wonderful interview with her in the Storque. I was afraid someone else would buy the pony, so I had to get him for myself. 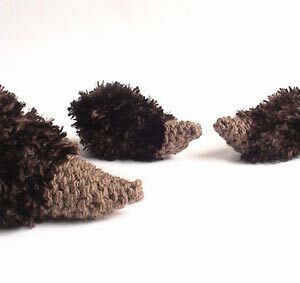 I also love Mrs Hedgehog and Her Twins also made by lullabylily! So while you are doing your holiday shopping, don’t forget to check out all of us toy makers on Etsy! Heehee, yes, my shop too! aww these are all so sweet!!! I LOVE, LOVE, LOVE The Science of Sleep. 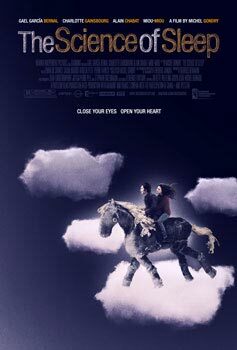 My favorite part is when they are making the scene and the chord on the piano makes the clouds float. I wish that really happened in my house. I love it! I loved that movie! Nice! I made a Golden the Pony Boy first thing after I saw that movie too!